Disclosure: This post is sponsored by Acorn, an Influencer Company. The views expressed in this post are my own. There are a few subjects that are taboo. Subjects that are hush hush. Never spoken about…ever. Perhaps we whisper about them…but that’s it. Light bladder leakage or LBL is one of those subjects. No one wants to discuss LBL. It’s true. But get together with a group of your mom friends and chances are high that at least one of you has some light bladder leakage. Probably more than one. Knowing that you are not alone is very comformting. You could let it sidetrack you, but don’t let light bladder leakage sidetrack you. Don’t let that happen. Instead…live your life fully. Do all the things that you love to do. Walk, run, exercise, hike, do yard work. Whatever it is that you do to stay active. keep doing it. In other words, Live Life Uninterrupted. That’s right…carry on with your day-to-day life and don’t let light bladder leakage interrupt your life. I’m not the most active person, but when I do exercise or exert myself, I want to be comfortable. Whether I’m using the elliptical at the gym or doing yard work, I want to be secure, safe, and not worry about light bladder leakage. One way to live life uninterrupted is to try Depend Silhouette Active Fit Briefs for Women. Trust me…these are not your mother’s Depends or your grandmother’s! Last month, my fitness level was tested and then some. My state was blanketed with well over 2 feet off snow. Snow Storm Jonas did a number on my yard and driveway. I had to snow blow and shovel several feet of snow. Snow blowing and shoveling took hours and hours. Clearing the driveway took hours of effort. 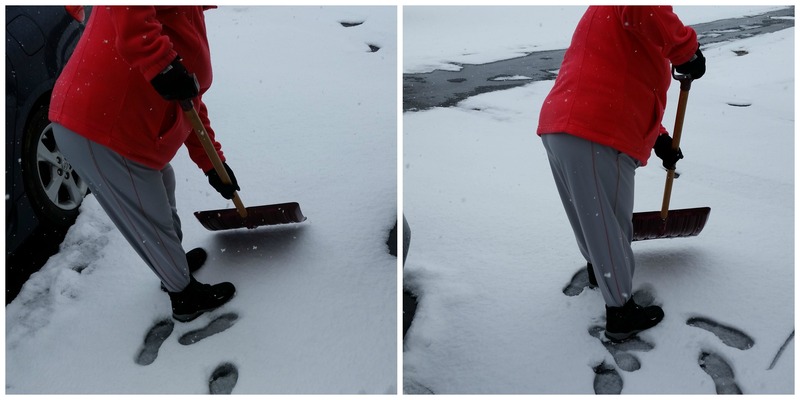 I perspired through sweatshirt, yoga pants, ski jacket, gloves, and hat. The exertion level of this activity was off the charts. The snow was relentless, but each day I bundled up to clear my driveway of snow I knew I was protected. Through all the snow shoveling, I remained comfortable and confident. And that meant everything to me. As I said before, I want nothing more than to Live Life Uninterrupted. 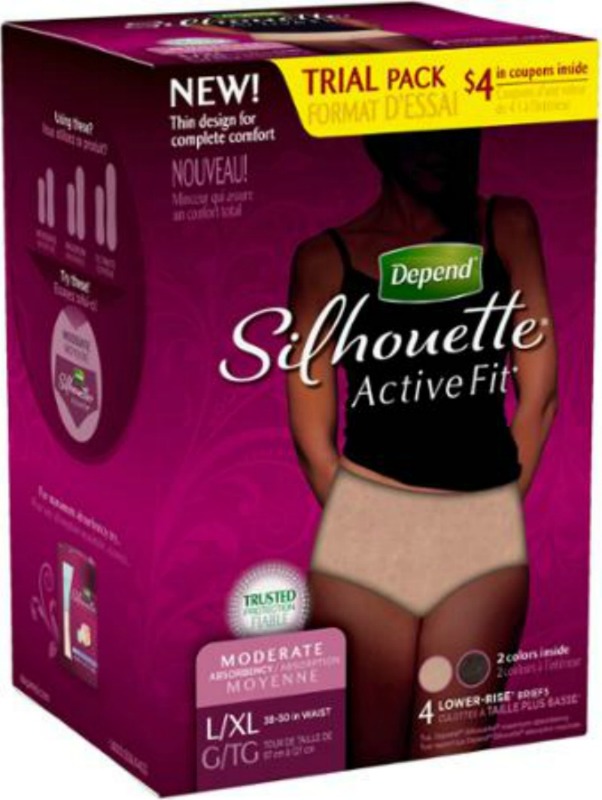 Depend® Silhouette Active Fit Briefs for Women? Depend® Silhouette Active Fit Briefs for Women are available at Walmart. Depend® Silhouette Active Fit Briefs for Women are designed to let you do what you need to do each day…Live Life Uninterrupted. Made of a cotton-like fabric with a thin design for complete comfort. Are smooth under clothing, even form-fitting yoga pants. Depend® Silhouette Active Briefs for Women come in two sizes — S/M and L/XL — and two colors — Beige and Black.. Depends Silhouette Active Fit Briefs for Women are available at Walmart. Have the trusted protection of the Depends brand. Depends Silhouette Active Fit Briefs are Yoga Pants Approved!